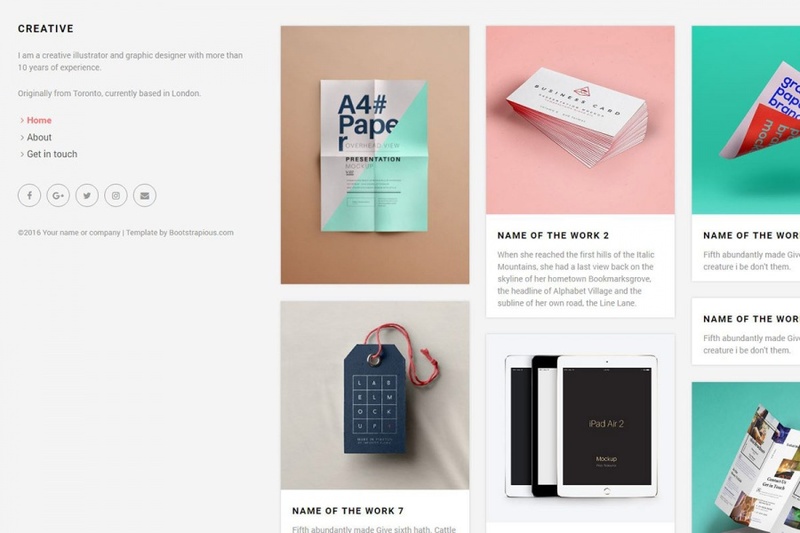 Creative portfolio is a clean and elegant template mainly made for designers and creatives but can be easily transformed into a generic website. It is fully responsive, based on the latest Bootstrap 3.3.7. This Bootstrap template is easy to modify and customise and is being shipped with 6 colour variants: blue, pink, red, violet, green and sea blue.